White roses are loved for their eternal beauty, fragrance and yellow roses for their vibrant color. Both the roses have their individual significance and features. But a blend of both is a visual treat for everyone. 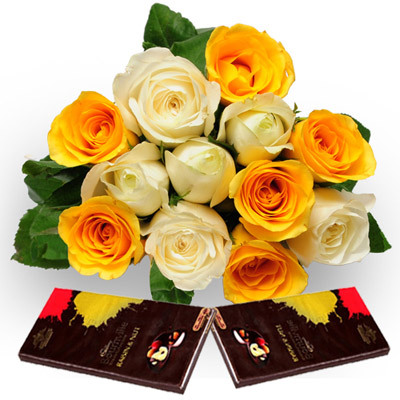 Surprise your beloved with a bunch of 6 white and 6 yellow roses tied beautifully and comes along two delicious Cadbury 80gms Bournville Chocolate.